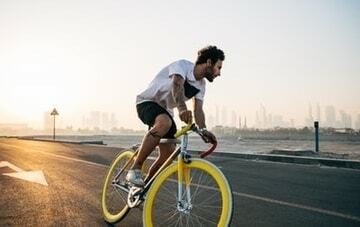 If you were injured in a bicycle accident in Florida, you can hold someone else responsible for your injuries if you can prove they had a legal duty to exercise reasonable care for your wellbeing and failed to do so. What Happens if a Bicyclist or Pedestrian is Hit by a Car? The driver can face fines, points off their license, and even harsher punishment if they violate the law and cause serious injury or even death. Pedestrians may be able to claim medical benefits from their car insurance company if they own a car or if someone they live with owns a car. Personal injury protection (PIP) can provide medical payments to the insured if they were injured by a car while driving, walking, or riding a bicycle. In Florida, if you are over 16 years old you are not required to wear a helmet. Failure to wear a helmet will not hinder your compensation but may affect the amount you receive. It is wise to take every precaution in your case and any act that could be perceived as negligent should be avoided. What if it Was a Hit-and-Run? It may seem hopeless to contact the police once the driver has fled, however, the police have many resources they can use to find the offender. Even if the driver cannot be located, insurance companies will likely require a documented police report in order for you to be compensated. Get the contact information of any that may have witnessed the accident or pulled over to help after the driver fled. It may help you find compensation. In some cases, your only chance of receiving compensation may be filing a claim against your car insurance policy. In order to insure you receive justice, take all necessary precautions and file a claim.